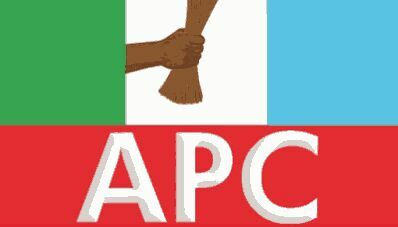 Contrary to rumour milling the round, aggrieved members of the All Progressives( APC) in the new Peoples Democratic Party (nPDP) fold – led by Alhaji Abubakar Kawu (CON) will attend and participate fully in the party’s convention slated for Saturday in Abuja. The leader of the group, Alhaji Abubakar Baraje disclosed this Thursday in a statement from his media office in Ilorin, Kwara state. Baraje who had been leading other members of nPDP in consultations with APC leadership returned from Saudi Arabia where he had gone to perform the lesser Hajj on Wednesday. He emphasised that his group has no cause not to attend the convention . Baraje further explained that, as a member of the convention committee of the party , he attended a meeting once with other members of the committee but after that initial meeting , he had not been chanced to attend subsequent ones. Reacting to various issues , statements, reactions and counter reactions about the claims in some media that President Muhammadu Buhari is not interested in meeting with the members of the nPDP, Baraje said though, he was not privy to such statement if at all it was true, but disclosed that the group or himself as the leader of the group , would not officially react now. “At the appropriate time,I will react.Definitely not now” He stressed. He added that he or any member of his group had not been briefed either by the presidency, the party leadership or the chairman of the convention committee of the nomination of such names. However, he said if such thing happened, it would be part of the issues to be raised at the eventual meeting with the presidency when such meeting is called but disclosed that an enlarged membership of the group would meet in the evening of yesterday ( Thursday) to take further actions and a common stand on their positions.